beachfronts, islands, house and lot, subdivision homes, vacant lots, condominiums, raw lands... Cebu real estate, Cebu condos for rent, Cebu houses for sale. Sellers of Real Estate in the Philippines Effective! Affordable! Worldwide! ADVERTISE WITH US. You are guaranteed high exposure of your ads! Take advantage of our low advertising rate and high visibility worldwide. THIS WEBSITE receives an average of 3,012 Unique Visitors everyday (and 211,466 hits daily - if hits are considered at all). Top 10 in Google, Yahoo, Bing/MSN, and many other international Internet Search Engines and directories. ARE YOU SELLING real estate as a broker/agent? Here's good news for you! Click here. Located on Popototan island (Busuanga), just a boat ride away from Coron, is an idyllic property that could be your next vacation home. Here is a totally renovated 5 year new house and lot in a private secured subdivision for sale. Lot Area: 280 sq. m.
Floor Area: 240 sq. m.
When you live at Avida Towers BGC, you enjoy the unparalleled convenience of having world-class schools, offices, parks, shopping centres, leisure activities and health centre at your doorstep. Floor Area: 60.86 sq. m.
This modern single detached tropical style condo with private pool that consist of 2 bedrooms have access to the resort facilities. Designed as a bungalow, this unique superior villa features a spacious living-dining area with an integrated kitchen and three bedrooms, with the master bedroom boasting a private bathroom. Floor Area: 208 sq. m.
Our excellent junior villa offers you a spacious living-dining area with an integrated kitchen. The residence offers you plenty of space with three bedrooms arranged across two floors. Floor Area: 138 sq. m.
Designed around outdoor living, the home features a huge covered terrace that incorporates a living and dining area complete with satellite TV and music system. Lot Area: 455 sq. m.
Our property is located in Ocamocam Beach - New Busuanga, one of the emerging tourist destinations on the island of Busuanga. Lot Area: 31,000 sq. m.
Lot Area: 14,352 sq. 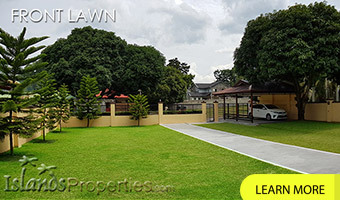 m.
This beach lot is located along a concrete barangay road and is facing southwest. Lot Area: 10,000 sq. m.
A nice piece of land along the national highway just 2 km. away from the town center of Siaton and 1 hour from Dumaguete City. Can be utilized for residential, commercial or agricultural purposes. Just 10 minutes walk to a sandy beach. Buyer can buy portion of this – 140 sq.m., 280 sq.m., or 1,000 sq.m. A nice piece of land along the national highway just 2 km. 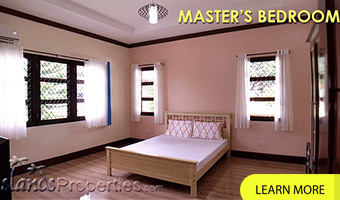 away from the town center of Siaton and 1 hour from Dumaguete City. Can be utilized for residential, commercial or agricultural purposes. 3.5 hectars beach lot property located in Anda Bohol facing the Mindanao Sea with a nice sea view and suitable for resorts. Lot Area: 35,000 sq. m.
This property is located along the concrete barangay road. About 5 minutes’ drive going to town center of Cavinti. About 4 kilometers from highway. This property is located along the concrete barangay road. About 5 minutes’ drive going to town center of Cavinti. Floor Area: ± 150 sq. m.
This beach lot is located facing south west. Accessible by land through Unisan road. This lot is located along the Eco-Tourism Highway. About 10 minutes going to Lucena City. Lot Area: 2,842 sq. m.
Lot Area: 990,000 sq. m.
Price is at P8.5M net for the owner or P9,775,000 total cash outlay of the buyer, which includes CGT 6.0%,DS 1.5%, BPF5%, CAR-Certification Authorizing Registration or Transfer CCT 2.5% a total of 15%. This is at least 12 hectares beach resort. Contact broker for location and more info. It is a residential and commercial area. Lot Area: 12,000 sq. m.
Lot Area: 1,190 sq. m.
Floor Area: 200.53 sq. m.
Overlooking lots for sale with fabulous view of the sea, the island of Cebu, and the environs below. Lot Area: 4,000-9,000 sq. m.
Avail of our Exclusive Provincial Advertising Package for Real Estate Agents/Brokers. You will be given exclusive right to advertise in one of our website's provincial listing pages. You can post an unlimited number of property ads/listings in our website. Buyers will find you, not you who will find them - this is because the website is so popular that it receives more than 5,000 unique visits daily, making it the No. 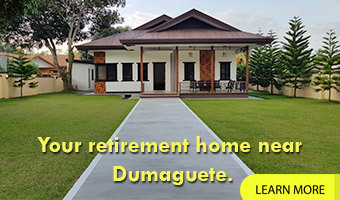 1 real estate website in the Philippines. Click here for more info.